When comparing cast iron versus plate steel wood stoves, the first thing to be aware of is that they are both made of the same material—iron (steel is an iron alloy.) One is simply melted down and poured into a mold while the other is rolled into sheets before forming. Therefore, be aware you are comparing apples to apples here…or rather iron against iron—making material composition an irrelevant factor in your decision. Cast iron wood stoves are made from molten iron poured into molds, or "casts" (thus the name.) In terms of which came first—cast iron wood stoves were being manufactured long before plate steel wood stoves, if for no other reason than because perfection of the casting process preceded that of welding. Cast iron wood stoves are a popular choice of wood stove for many reasons, among them its ability to hold up to high heat and temperature changes. Iron is a durable yet workable material that allows for panels of it to be drilled into larger, complex assemblies, like stoves. It disperses heat nicely, conducting heat well from one part of the stove to the others. Years of cast iron wood stove manufacturing has made for many creative advances in design. With a wide variety of flutes, moldings and other elements available, as well as the ability to take enamel coating, you can find a cast iron wood stove for almost any decorative taste. Cast iron wood stoves can be costly. As they are put together with bolts and caulking they tend to require some degree of maintenance or repair over time, with replacement parts also costly as each individual model of cast iron stove must have its own master patterns for casting new panels and parts. Many manufacturers of cast iron wood stoves today focus more on form, or decorative appeal, than function. A recent innovation in wood stoves that has taken off as a cheaper and sturdier alternative to cast iron is the plate steel wood stove. The biggest tradeoff with plate steel wood stoves, as you might expect, is decorative appeal, with many plate steel wood stoves looking a little nicer than big, black boxes. More and more plate steel stove manufacturers, however, are branching out to more decorative designs. Plate steel wood stoves benefit from the cheap and efficient mass steel production and welding processes. Plate steel wood stoves are tough and resilient. Welded together, the seams are sealed tight, reducing the need for repair and maintenance. The ease and efficiency of welding also makes it easier (and therefore cheaper) to make alterations or improvements to the plate steel stoves. Plate steel wood stoves also heat up and cool down faster than cast iron stoves. Besides general inferior aesthetics and selection of décor enhancing designs, the other main drawback about plate steel is it doesn't hold heat as well as a cast iron stove. Construction – The joints between the panels of a cast iron stove are sealed with bolts and caulk, while the joints of plate steel stoves are welded shut. This means that every few years cast iron wood stoves require regular maintenance that plate steel wood stoves do not, to reseal the joints and prevent air leakage that could otherwise cause a fire to rage uncontrollably. Heating – Plate steel wood stoves heat up and cool down faster than cast iron stoves. This is ideal if you come and go a lot, both to heat a cold home quickly and to safely extinguish a fire completely before you leave the stove unattended for a length of time. Cast iron stoves, however, are able to hold their heat better than plate steel. This is ideal if you expect your wood stove to keep a house warm all night, for example, without you having to wake up in the middle of the night to feed it. Looks – A wood stove isn't just an appliance; it's also part of your home's décor. Cast iron wood stoves come in a variety of attractive designs to fit nearly any décor, whereas plate steel stoves are plain and more utilitarian looking. So if you plan to situate your wood stove in a prominent place where it will be highlighted no differently than a fine piece of furniture, you may find more pleasing options in cast iron. Basically, if the wood stove is only going to be tucked away unobtrusively in a corner, then plate steel is perfectly suitable. 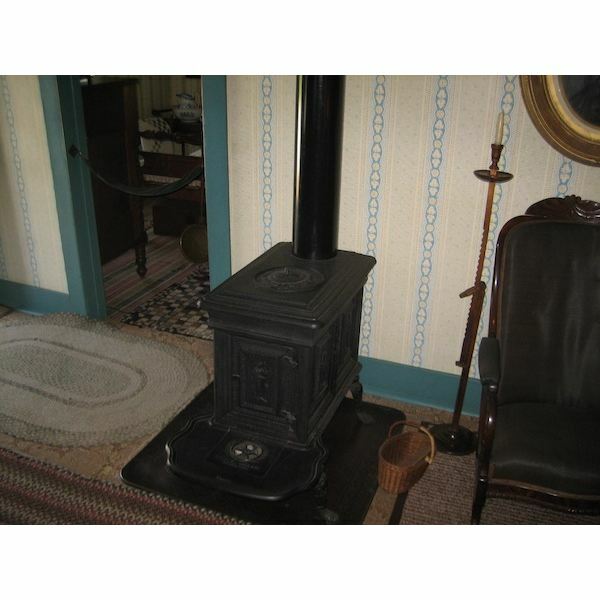 Price – Simply put, cast iron wood stoves typically cost considerably more than plate steel wood stoves. If aesthetics and the ability to retain heat for longer periods of time are your priorities, then cast iron is the best choice of wood stove for you. If cost, low maintenance, and the ability to heat up and cool down quickly are your priorities, then plate steel is the best choice of wood stove for you.